First they drove. Then they rapped. Now they're dancing (to LMFAO's Party Rock Anthem). But they're not doing any old dance. They're shuffling. 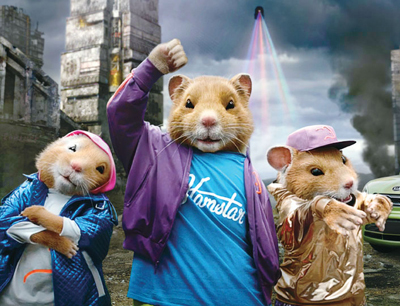 And they're doing it harder, faster and better than any hamster has ever shuffled before. Did you see their performance during the MTV VMA's? If not, here is the encore presentation.